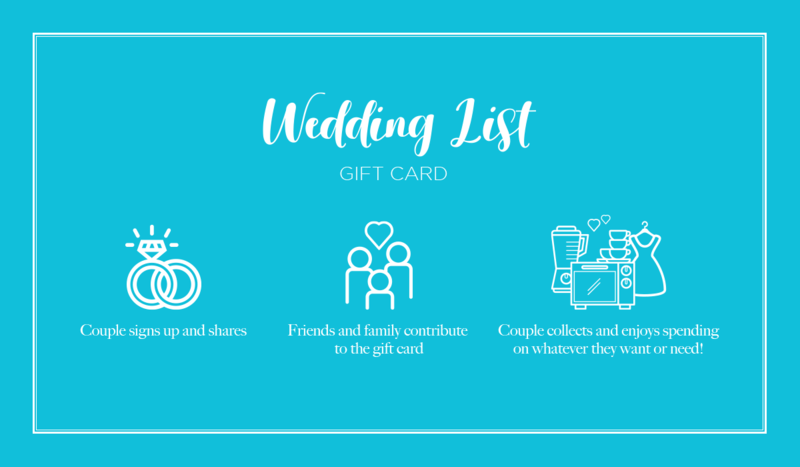 WE ARE DELIGHTED TO LAUNCH OUR AMAZING VICTORIA SQUARE WEDDING LIST GIFT CARD! It’s the perfect wedding gift solution. Simply sign up for your Wedding List today. Share the link with your family & friends so they can add to your wedding list. Then after your big day, collect your gift card to spend on anything from holidays to bed sheets!